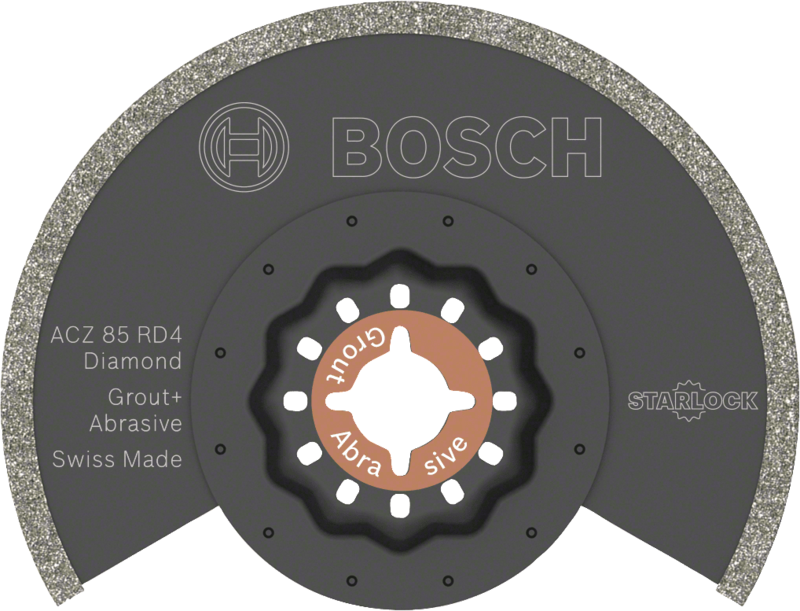 The Starlock ACZ 85 RD4 blade guarantees extra-long life for routing grout and abrasive material. Its edge is coated with a high-quality Diamond-RIFF with grit 40 for exceptional lifetime wear resistance. 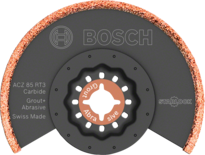 This blade is ideal for routing grout joints between tiles and creating smaller cutouts in soft wall tiles. 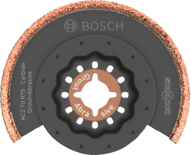 It is also suitable for cutting precise recesses in abrasive materials such as fibreglass, epoxy-reinforced plastic, cement-bonded fibre boards or fibre-reinforced composites. It is designed for use with all Starlock, Starlock Plus and Starlock Max power tools as well as common multi-tools. The pointed segment saw blade ends enable cutting right into tight corners while the round blade body design enables straight cuts. The Starlock Snap-In mounting system allows fast blade removal and exchange within 3 seconds without having to touch the blade. The mounting system produces the highest power transfer thanks to a 3-dimensional tight-fitting connection between machine and accessory.